What is design and theatre technology? If you want to be part of the magic of theatre – crafting the costumes, scenery, lighting, sound and set designs that transport audiences – design and theatre technology is for you. 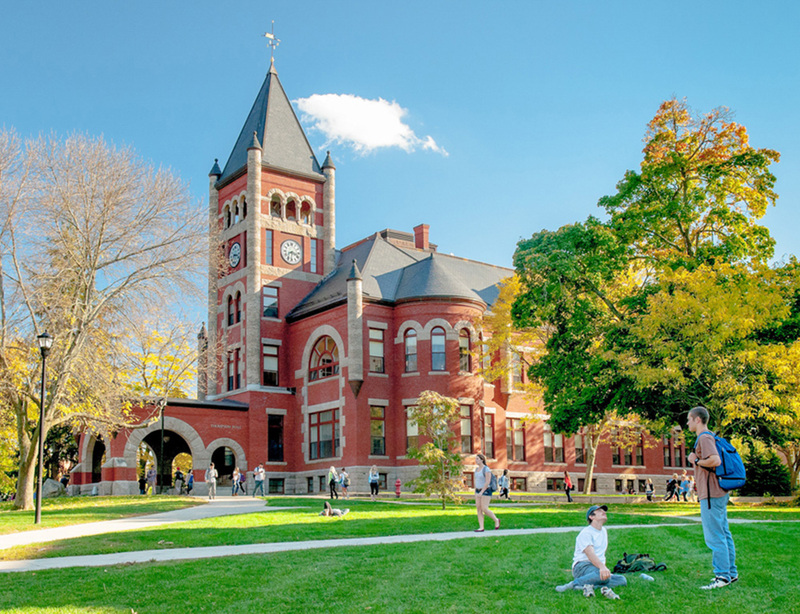 This option in the theatre degree program at UNH will prepare you for a wide range of careers as you study the history of theatre and technical elements of design, building skills in your area of interest. 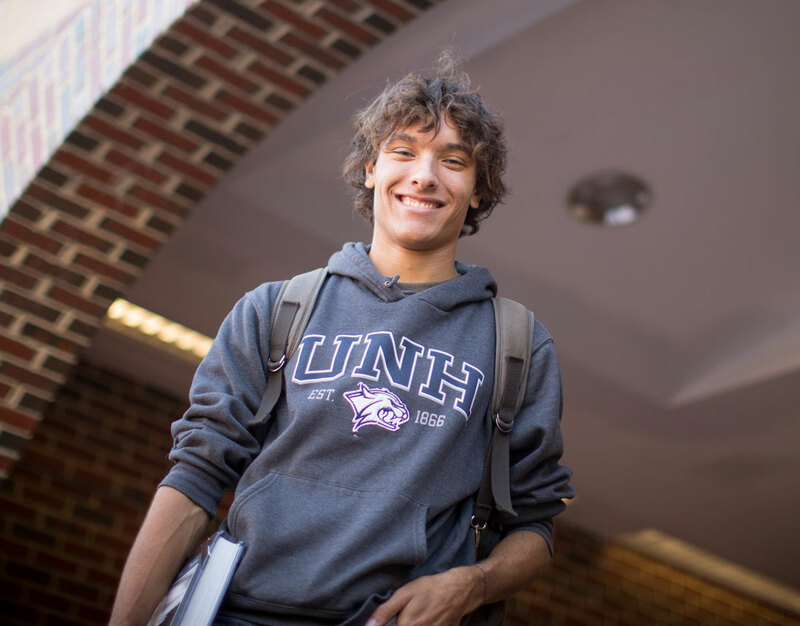 Why study design and theatre technology at UNH? In addition to our award-winning faculty, the UNH Department of Theatre and Dance offers more than 25 performance opportunities every year in musicals, plays or dance concerts. As a student in the design and theatre technology program, you may have the opportunity take on stage production design assignments for these productions. You’ll also be able to pursue independent studies and you’ll be eligible to apply for R.E.A.C.H., financial assistance provided to students who participate in internships with professional theatre or dance organizations. Our Cultural Stages program brings acclaimed playwrights, choreographers and other theatre artists from around the world to campus. Design and theatre technology students who show significant progress and ability may earn the opportunity to demonstrate practical application of their studies through the department’s main stage production design assignments. Through classwork, production assignments and problem-solving, this option prepares students for both practical skills and aesthetic sensibilities needed for the creation of visual and technical elements for the performing arts. The challenging coursework provides both fundamental knowledge and critical thinking practice, which are skills that help students pursue a successful profession in theatre and related fields; the core principles of hard work, problem-solving and creativity are transferable to other career paths as well. UNH-trained graduates hold careers across the nation as designers, technical directors, stage managers, property masters, head electricians, and scenic artists. Contact Szu-Feng Chen, Paul Creative Arts Center, (603) 862-4445, szu-feng.chen@unh.edu. In the freshman and sophomore years, students should enroll for at least two major and two Discovery courses per semester. The minimum grade requirement for major courses is C- per course. Any grade lower than C- will not count toward the major. Under department policy, students who complete both COMM 401 American Sign Language I and COMM 502 American Sign Language II satisfy the bachelor of arts language proficiency requirement. All majors must take courses in the following areas: performance, design/theatre technology, and theory/history as well as fulfill between four and eight practicums and complete a capstone course. Although timing will vary with each option, it is strongly suggested that all introductory courses be taken prior to the end of the student's sophomore year. The required minimum overall GPA in major coursework is 2.0. Theatre department majors may use one major-required course to satisfy one Discovery category requirement. All UNH B.A. degrees require a minimum of 128 credit hours. The practicum ensures a breadth of experience in the major, including sets, costumes, lighting, props, box office, marketing, and performing. Students must register for practicum every semester. They are notified of their practicum assignment at the beginning of each semester.